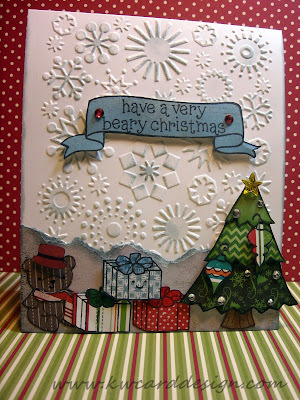 KWCardDesign : Lawn Fawn Christmas! 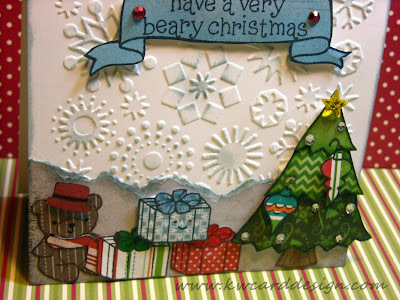 I wanted to share this Sunday evening a card I am submitting into Vicky's giveaway from Clips- N - Cuts, and Lily Pad Cards! I love watching her videos every Sunday, and she is one of many that I aspire to!! She is doing a giveaway on her blog for a SSS gift certificate. She did a "Spotlight on: Lawn Fawn series, and she has given her readers an opportunity to create based on her cards for inspiration. Below is my card. 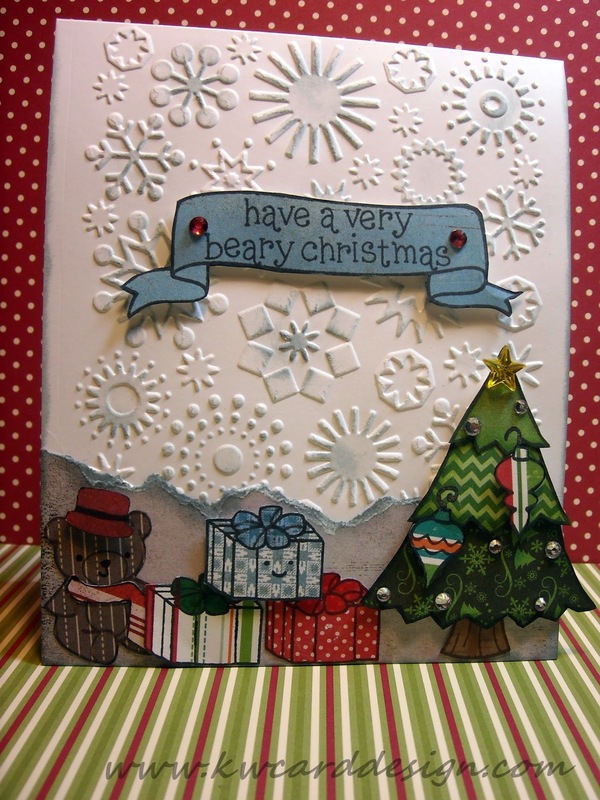 I used several different LF stamp sets: Critters in the Forest, Pa-rum-pa-pum-pum, Ornate Ornaments, and Bannerific. I used a lot of different patterned papers on this card, and it most definitely challenged me!! I liked out it turned out, and hope Vicky likes it too!! 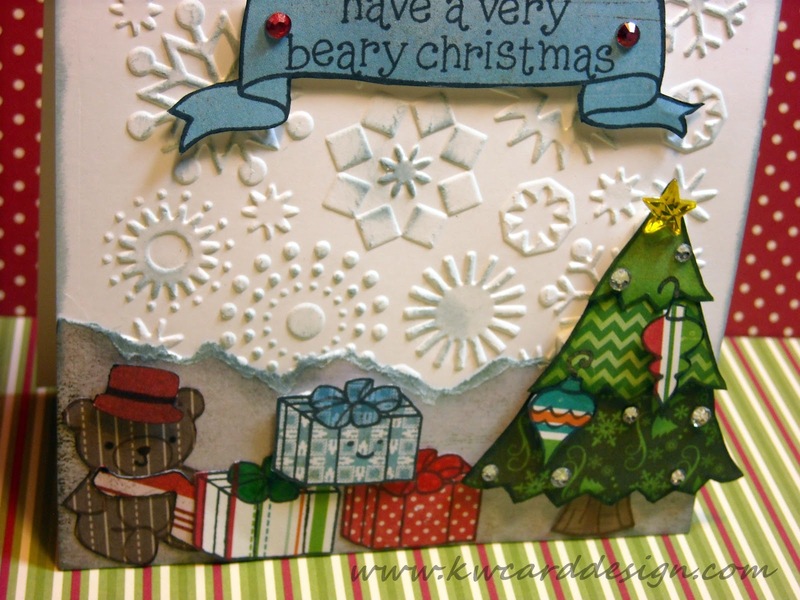 Even though this card was time consuming, I enjoyed my creation as it went along!! Thank you Vicky for giving us inspiration, and a chance to win a great prize!! Happy Thanksgiving everyone! !